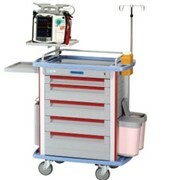 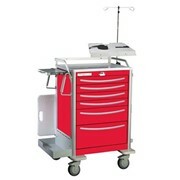 Emery Industries supplies Waterloo Healthcare EmergencyCarts including the USRLA-3369-RED. 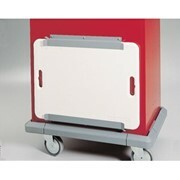 Waterloo Emergency carts provide a highly maneuverable and stable work platform for your emergency response team. 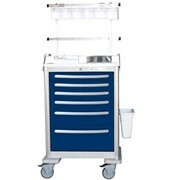 Available accessories, such as Sharps container holders, Swivel Defibrillator shelves, Suction trays and a wide assortment of pharmacy trays provide a great deal of design flexibility. 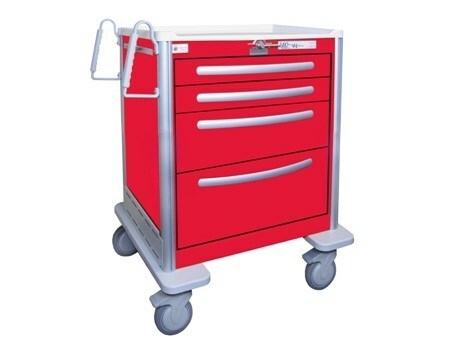 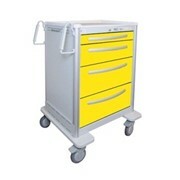 Waterloo Emergency carts are available in both Steel and Aluminum construction. 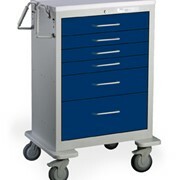 Steel carts offer a lower cost solution while our lightweight Aluminum carts offer the added benefits of being 30% lighter (easier to push), will not rust, include integrated drawer dividers, side shelves and larger, more stylish drawer handles. 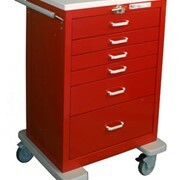 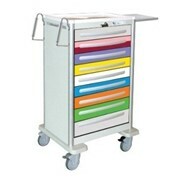 The cost savings provided with the integrated drawer dividers in our aluminum cart can often justify the upgrade! 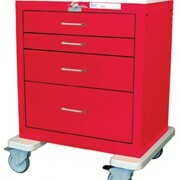 Antimicrobial paint, Standard centralized Lever-lock (Key Lock, Electronic, mechanical pushbutton or proximity locks also available), Full extension ball bearing drawer glides, Ergonomic push handles, Removeable ABS plastic molded top, Wide platform stabilizer base with 5" Premium easy roll swivel casters (2 brake, 1 steering, 1 full swivel), All accessories mount to adjustable panels allowing maximum flexibility in accessory configuration, No predrilled accessory holes provide a smooth/easy to clean cart surface, Latex Free.